Saks Off 5th has made a major change to the customer drop ship packing slips that are required to be included in every Saks Off 5th customer order shipped from your warehouse. Read on to learn all the details straight from Saks Fifth Avenue Off 5th. Amazon has announced an upcoming change to No Carton Content Labeling (No CCL) chargeback rates affecting their vendors. They have not yet released a date for the chargeback rate but have released specific rate change information. 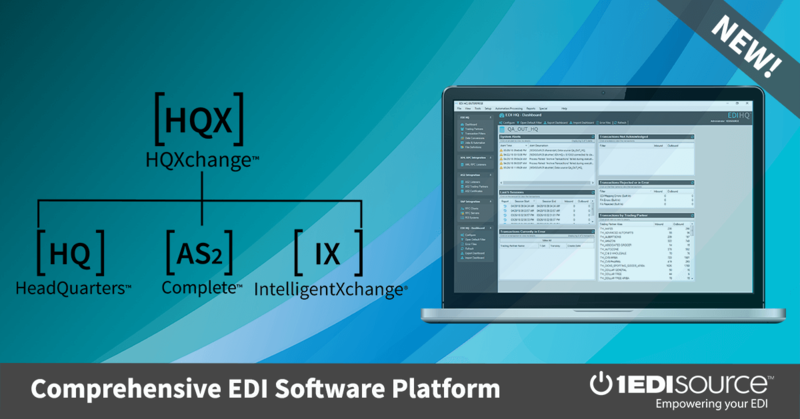 Get all the details in this post containing the EDI update information straight from Amazon. New Walmart EDI vendor update discontinuing certain inboxes and addresses by February 22, 2019. Suppliers working with Walmart will need to follow new processes for communication replacing the discontinued inboxes and addresses previously used by Friday February 22, 2019. Here are all the details you need to stay compliant straight from Walmart. Amazon has announced a new Purchase Order EDI update to their “Purchasing Entity” Name going into effect March 1, 2019. Teams within your business that may be impacted by this Amazon purchase order EDI update include: Shipping, Order Management, Logistics, Distribution, Tax, Legal, Accounts Payable/Accounts Receivable, and EDI or Tech/IT. Saks Off Fifth has released new drop ship program updates for Inventory and Order Processing. With the holidays quickly approaching this is the busiest time of the year for retail, and retailers look to their suppliers to follow compliance standards strictly to provide the best experience to their customers and help to maximize sales potential. Read through these guidelines straight from Saks Fifth Avenue to ensure your compliance with Saks Off Fifth and to avoid pricey chargebacks and fines. Office Depot announced an EDI update concerning trading partners using SSL for AS2 Communications for EDI with Office Depot. Vendors will need to update to the new Office Depot SSL certificates to avoid communication disruption. Around the week of October 23, 2018, Google Chrome will completely distrust all Symantec certificates. This could cause trading partners to receive a certificate error when communicating with Office Depot when using Google Chrome or not, so action must be taken before October 23rd of this year.